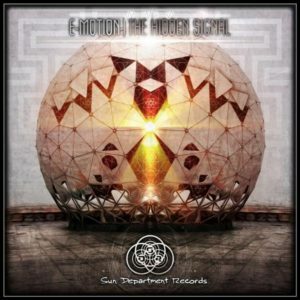 Sun Department Records is proud to present The Hidden Signal by E-Motion, featuring four tracks of solid psychedelic progressive grooves to fuel those sunrise moments. From the massive bass line and deep vocal meanderings of Citylights to the dance floor freaking power of The Hidden Signal, Flying Objects, and a remix of Myrtox’s Amnesia, this release provides a heroic dose of funky twisted drops and breakdowns. Sebastian Horsch AKA E-Motion comes from the sunny south of Germany, and you can really feel this shine through in his music. The Hidden Signal is E-Motion’s premiere release on Sun Department Records and hails the beginning of a great musical journey to be shared in the coming years. MP3 Download | FLAC Download | WAV Download · Download count: 8,594. I love this album. I’m very thankful!